I hate to waste food! I love making life easier…who doesn’t! 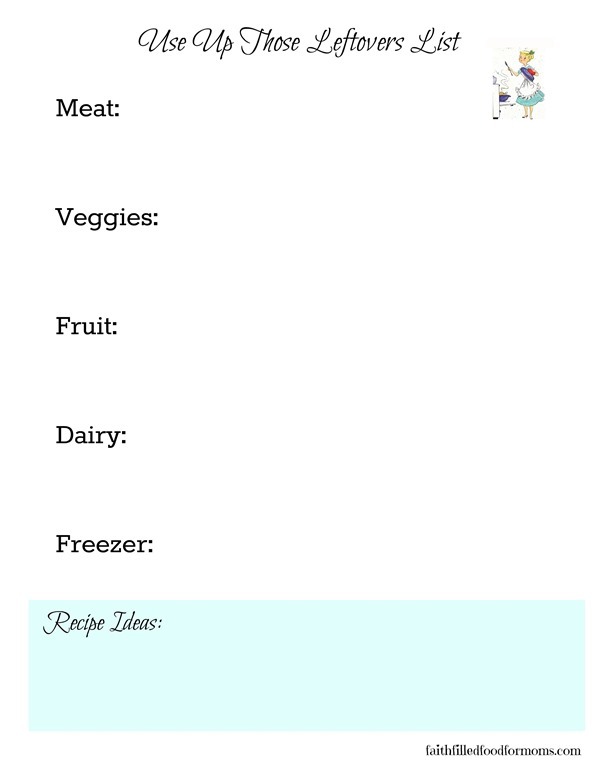 One of the ways I do that is buy creating simple Freezer Meal Recipes. 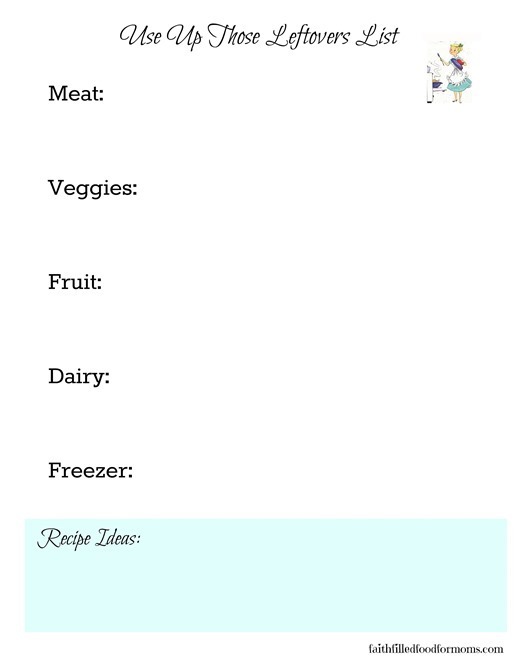 There is just so many other deelish recipes you can make with the most basic ingredients. 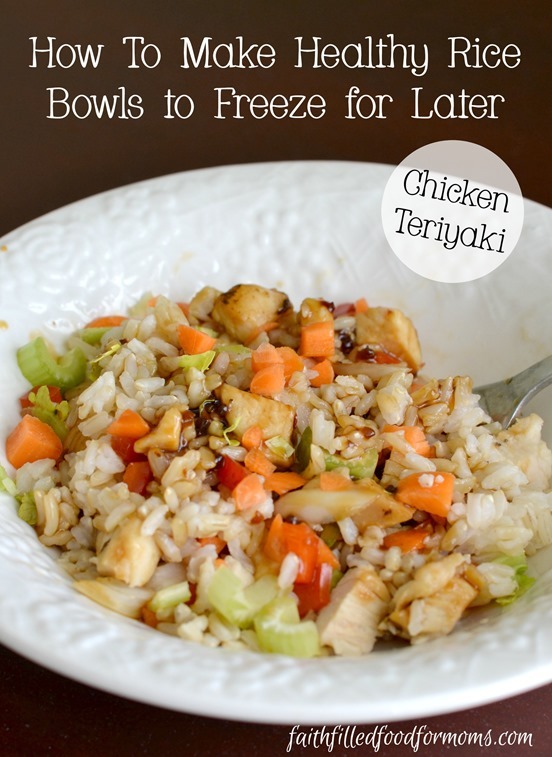 This is how to make healthy chicken teriyaki rice bowls to freeze for later! I’m sort of one of those people that goes to street fairs and never buys anything from those awesome booths, because I always think “I can make that myself!” Then I never do it and think…”I should have just bought it!” I know right, just buy it Shari! However there is one area I almost always never do that, it’s with cooking. Since we are on a pretty tight budget and I have so many hungry mouths to feed, I’ve experimented with making TONS of foods that I see in grocery stores and re created them at home. Some with great success and some flops. this post may contain some affiliate links at no charge to you! I love frozen rice bowls but they can be sooo expensive at the store, so this is How to Make Healthy Chicken Teriyaki Rice Bowls to Freeze for Later. 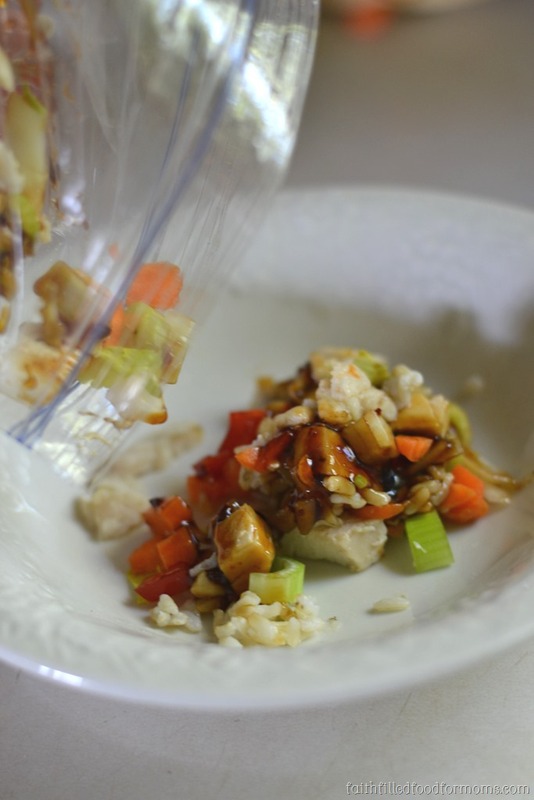 This will save you tons of money AND time..not to mention they are deelish and healthy! Chop veggies if not already chopped, I like to use fresh veggies because I like crunchy and I find that frozen can get a little soggy. But you can use what is easiest for you. If you are a chopper hater…use a food processer! If you don’t have one…get one. So many are inexpensive and can make chopping a breeze. I use the Ninja Chopper and LOVE IT. An easy way to add food to bags is to fold them over and then prop them up but if you have flimsy bags they can flop over. 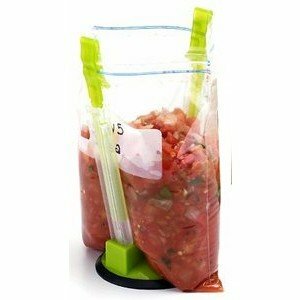 There’s a solution though…These handy baggie holders from Jakari make filling bags SO EASY. 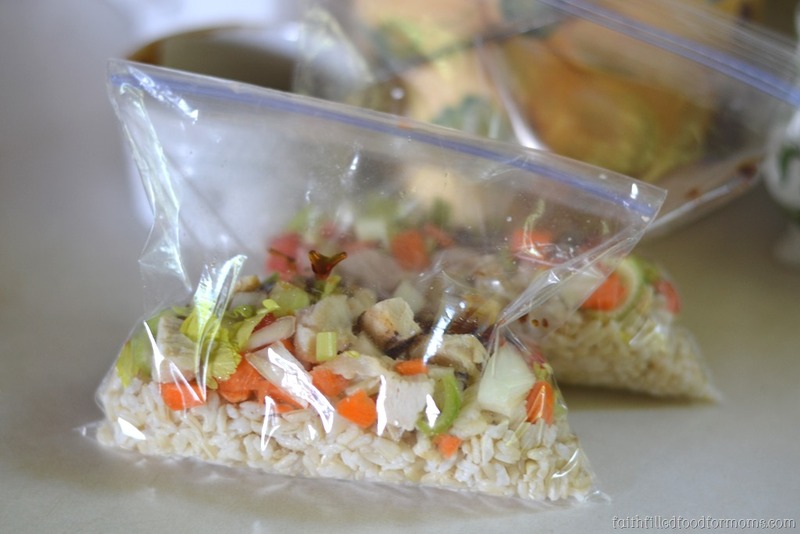 Although I didn’t use mine in this post, I use them all the time when I’m bagging up leftovers or doing bulk cooking. 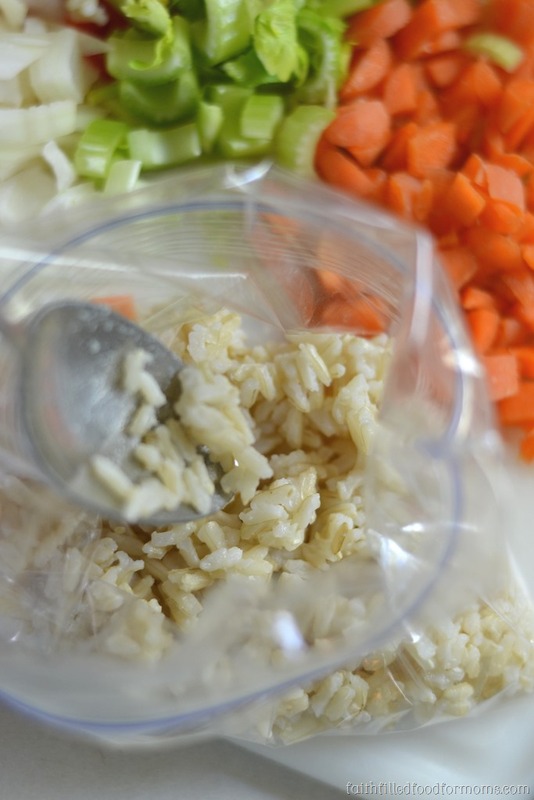 A serving size of rice is 1/2 cooked. So add about that much to your bag. Then add veggies and chicken. Remember you can use any kind of veggies you and your family love. Now add your Teriyaki Sauce of choice. Be careful not to over due it…you can always add more when you fix your dish up if its not enough. I use about 1 ~ 1 1/2 Tablespoons. Make as much as your leftovers will allow. 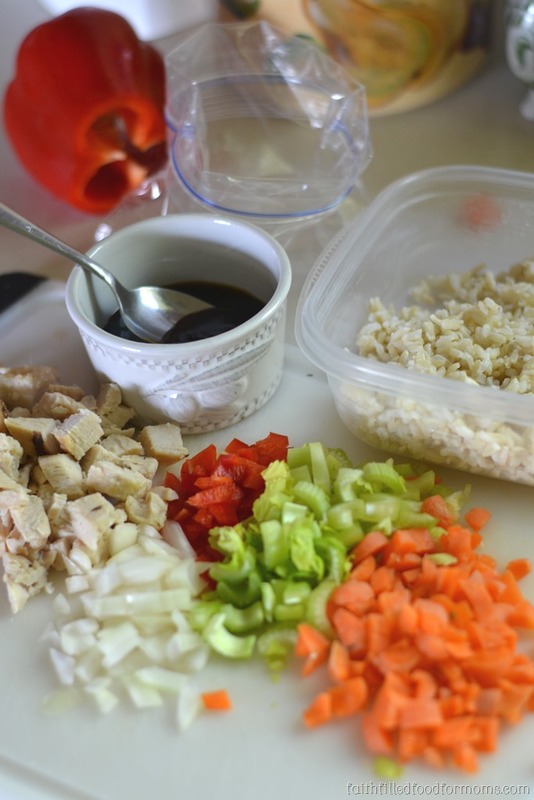 I always have pre cooked chicken because I buy it in bulk and then cook a bunch up just for these occasions when I don’t have leftover chicken but have rice. Unthaw package and pour into a microwavable bowl. 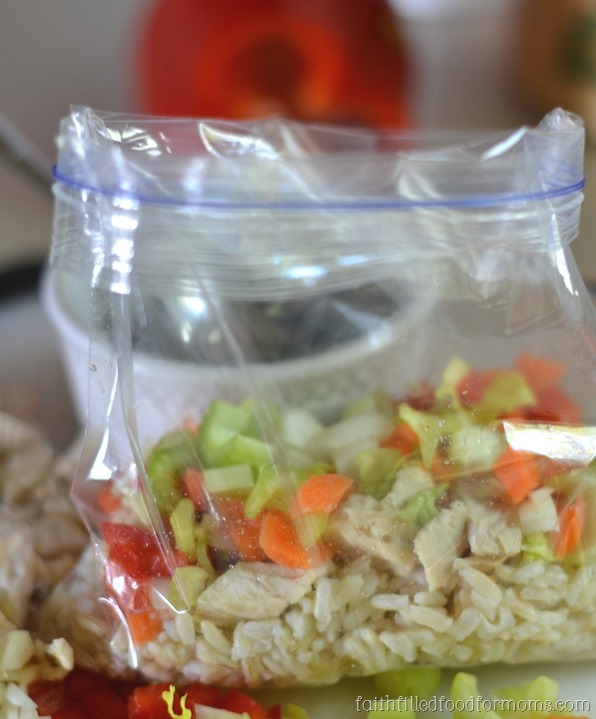 Don’t heat in bag or plastic, not at all healthy. If you’ve used serving size microwaveable glassware you are ready to roll! That’s it…heat and serve! YUM! A super filling and healthy meal. Every bit as good as the store bought…even better! I also make a Mexican Rice Bowl that is super yummy. If you are all in…I’ll make the recipe and share…let me know! 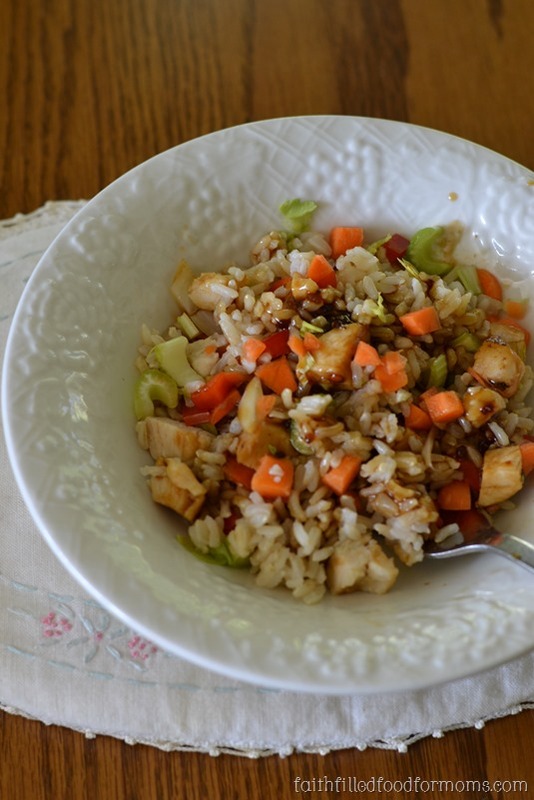 Make these yummy Chicken Teriyaki Rice Bowls and freeze them for your dinners and lunches down the road! 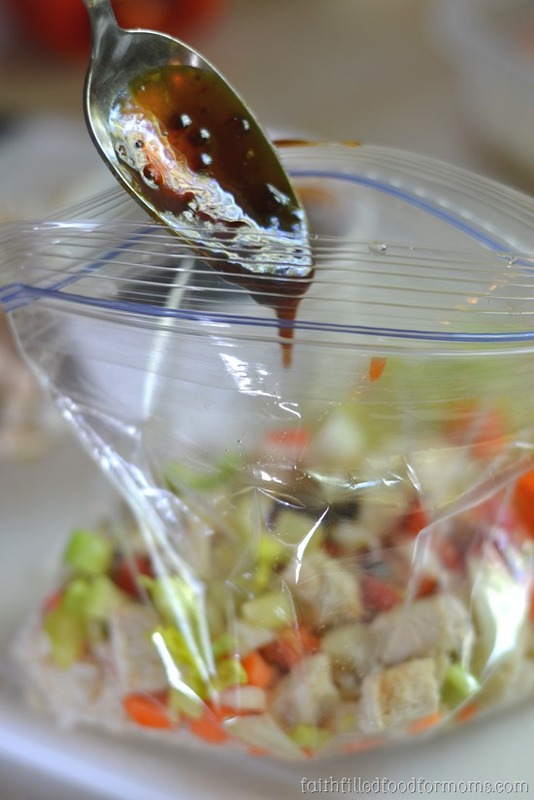 If you are a chopper hater…use a food processer!